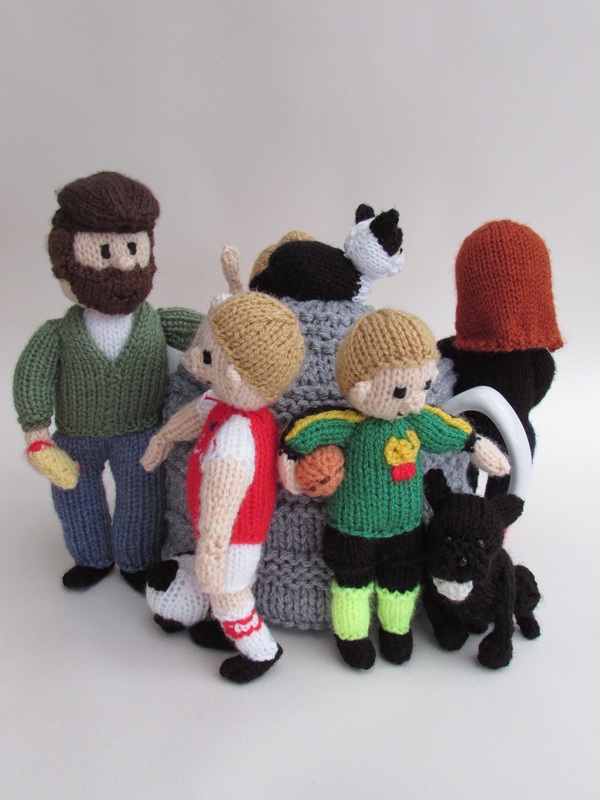 The Family Portrait tea cosy was a bespoke tea cosy that was commissioned by the wife to give as a Christmas gift to her husband. 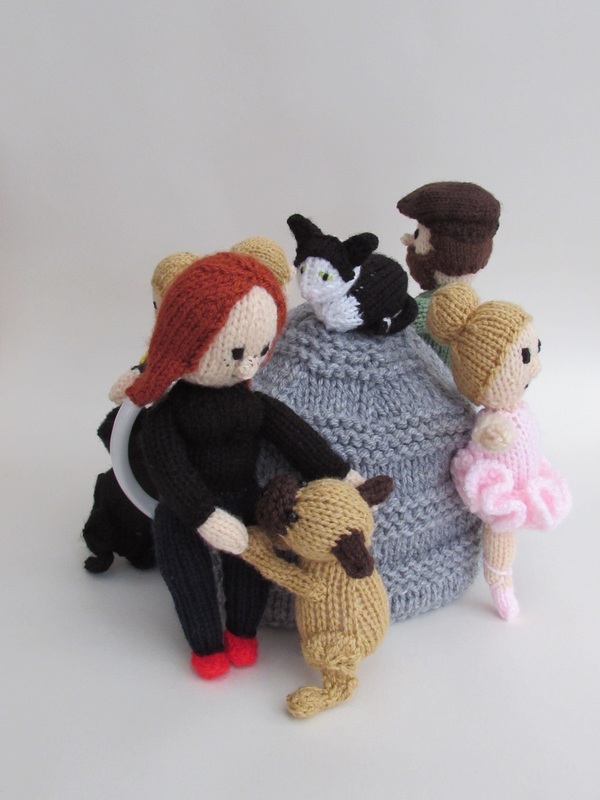 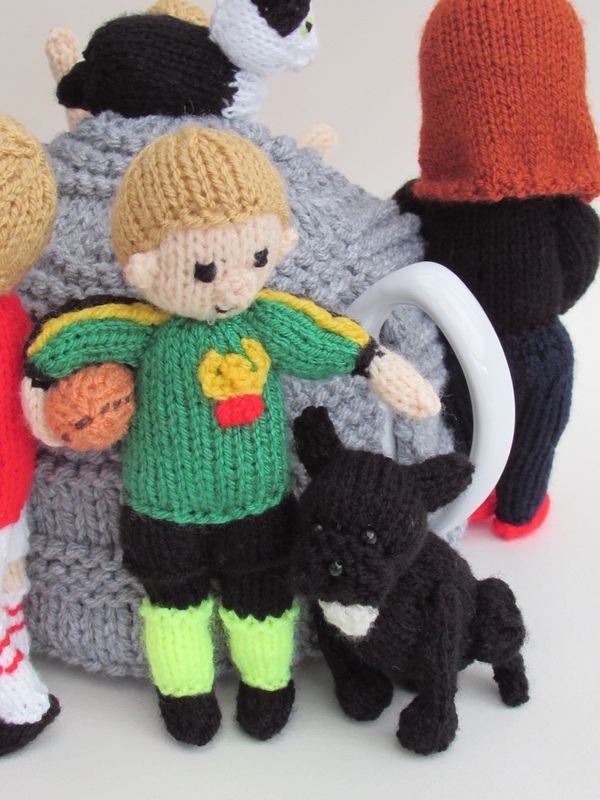 The Family Portrait tea cosy features a family of husband and wife, three children, two French bulldogs and flop the very old black and white cat. 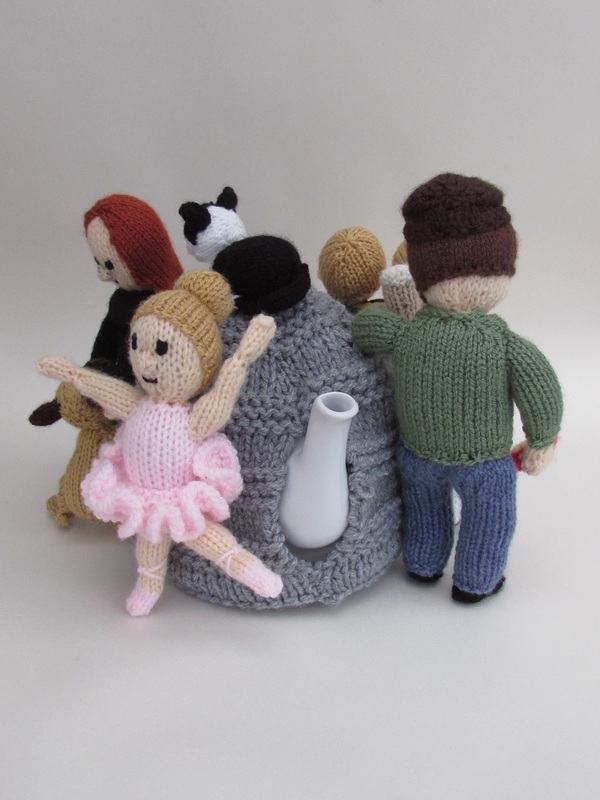 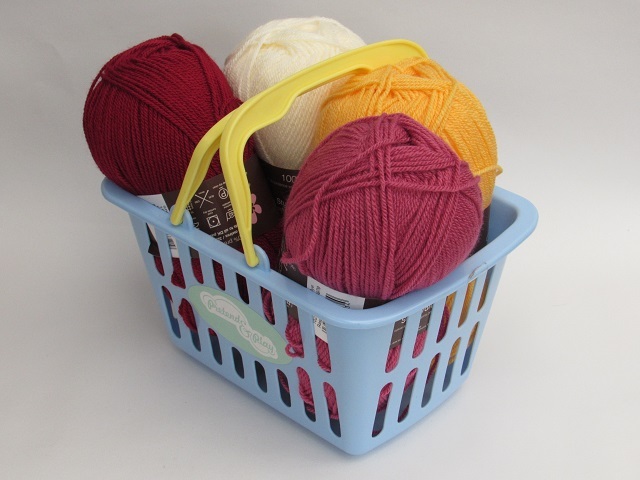 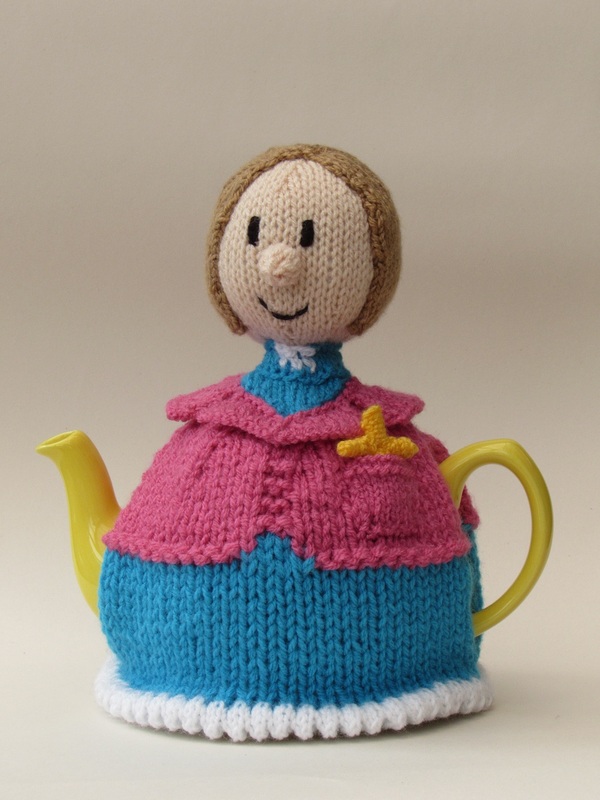 With so many characters to include on one tea cosy, I made the tea cosy a large size to fit a 10 cup teapot. 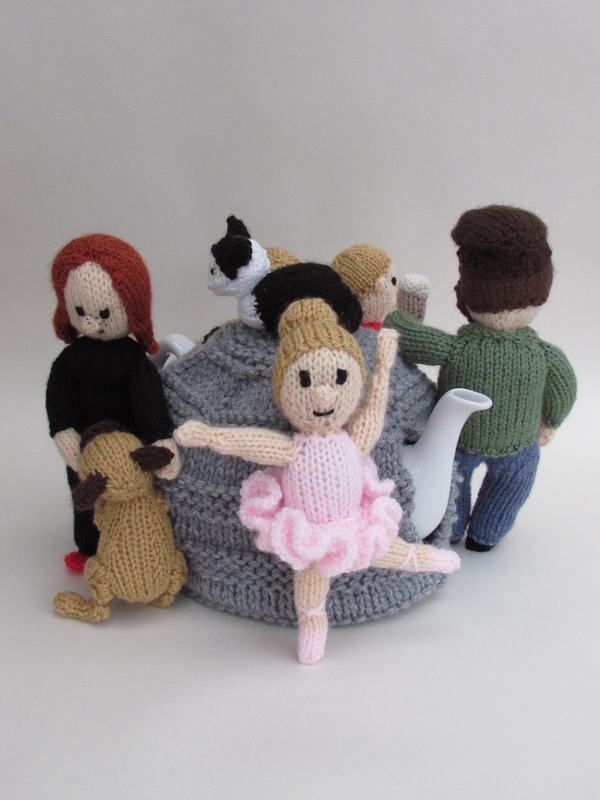 I worked on the tea cosy for about 4 weeks. 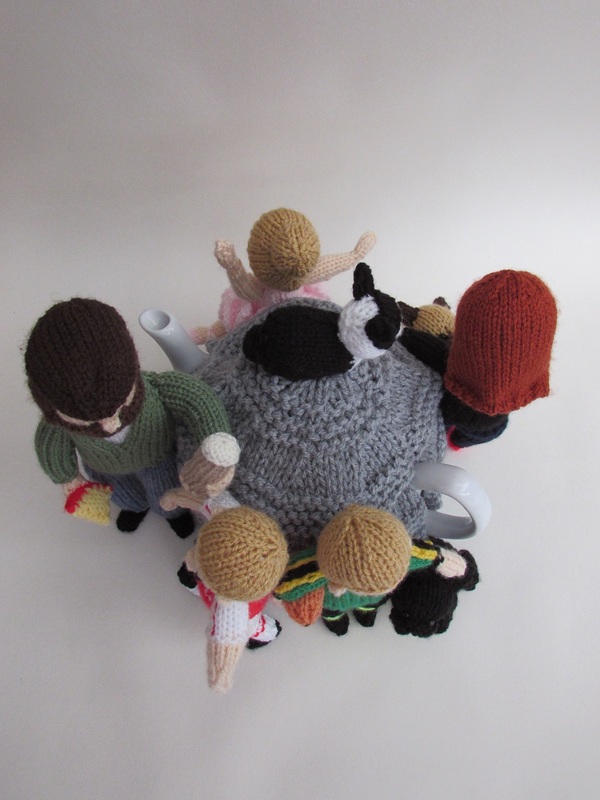 What I really like about the cosy is that the characters look like they are interactive with one another, and they are all dressed to reflect their different personalities and interests. 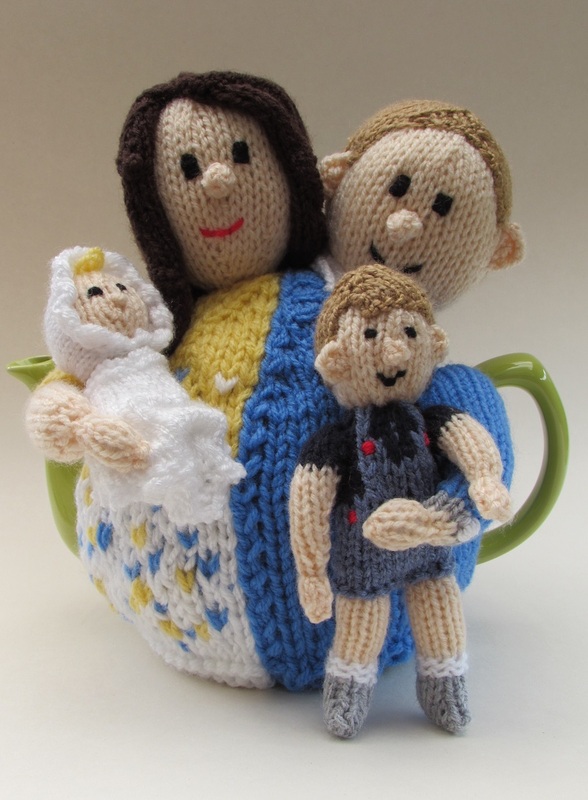 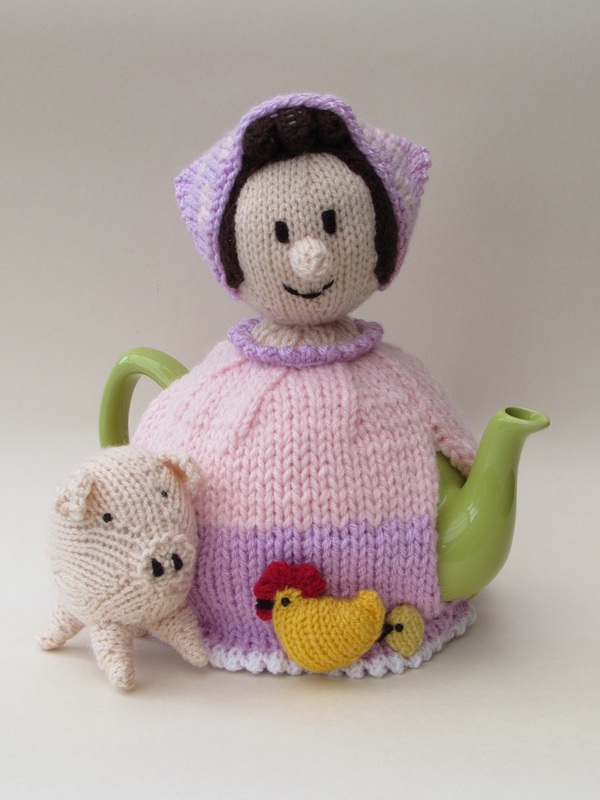 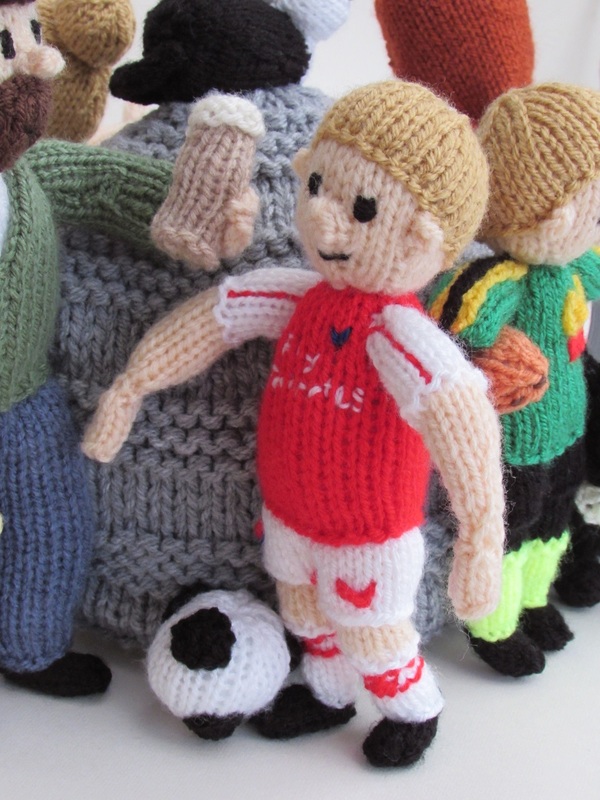 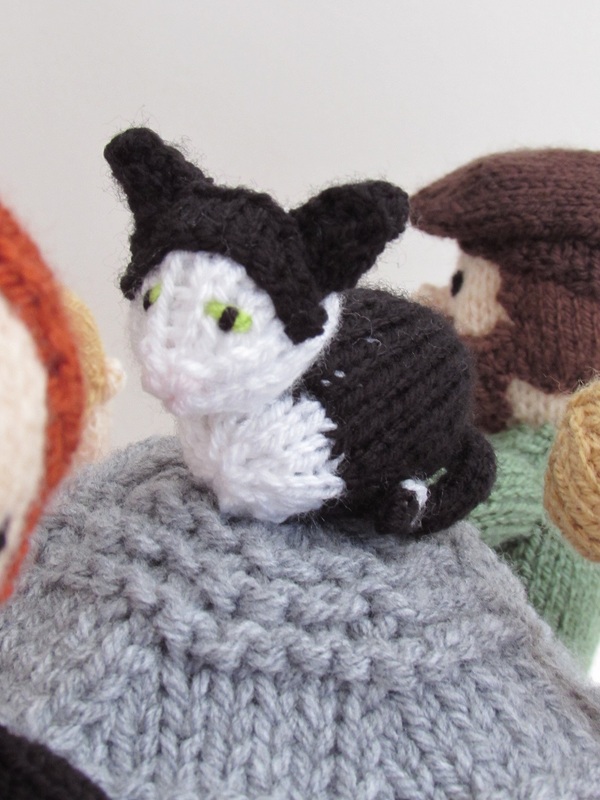 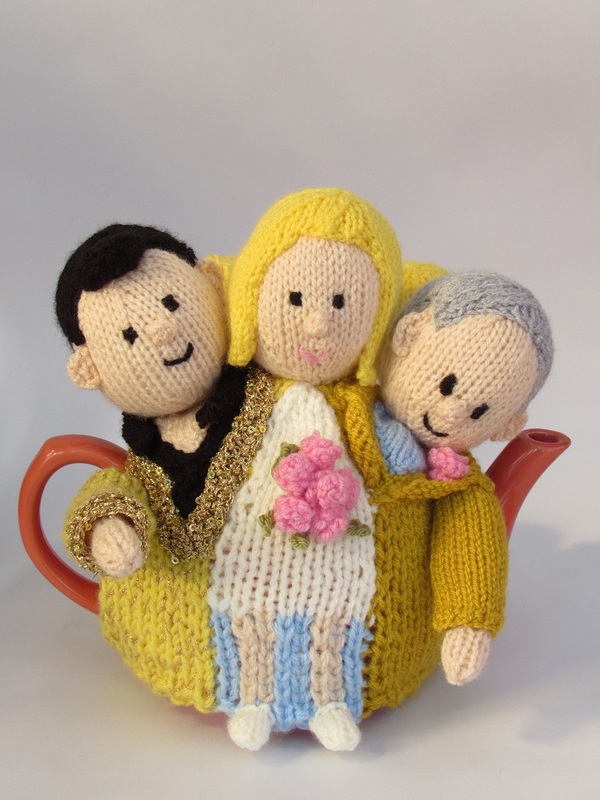 A Family Portrait made from yarn into a tea cosy.